Leschenault's Lobelia is stout erect shrub, usually unbranched. Leaves are 15-25 x 3-6 cm, linear-elliptic, densely velvet-hairy below, shortly and broadly stalked. Flower racemes 25-60 cm long are carried on top of the stem. Bracts are 2.5 cm long, linear, velvety. 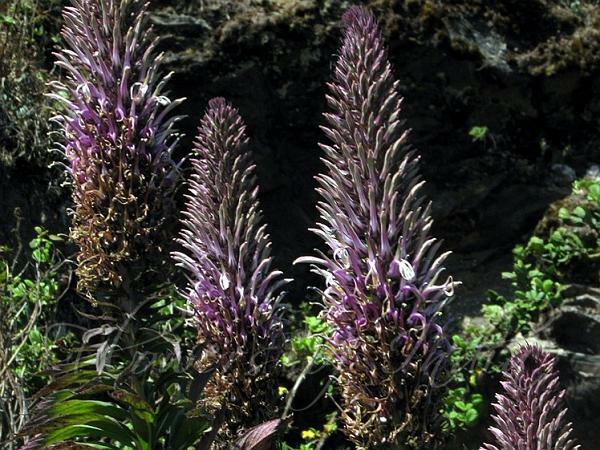 Flowers are numerous, densely packed, stalks velvety, bracts 2.5 cm long, linear; sepals 14 x 2 mm, linear, long-pointed, toothed. Flowers are pale pink, 2.5 cm long, lobes linear; staminal tube narrow, 2.5 cm long, anthers 7 mm long, all hairless. Capsule is 8 x 8 mm, depressed globose, scabrid; seeds biconvex, brown. 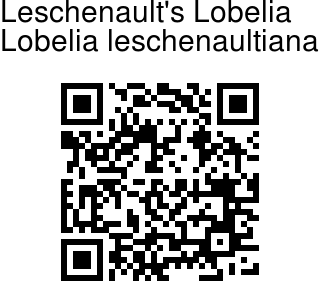 Leschenault's Lobelia is native to Peninsular India. Flowering: All year.